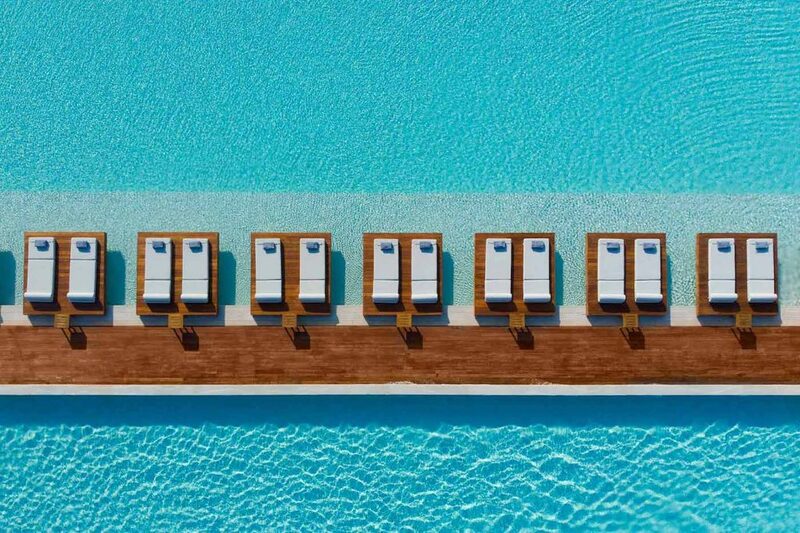 As more and more people shop, eat and live more eco-consciously, new hotels like Gennadi Grand Resort in Rhodes are shining a spotlight on sustainability within travel. Impressive and inspiring in its ethos and pioneering practices, the hotel, which re-opens this month (April) for its first full season, aiming to put the glamour back into green. 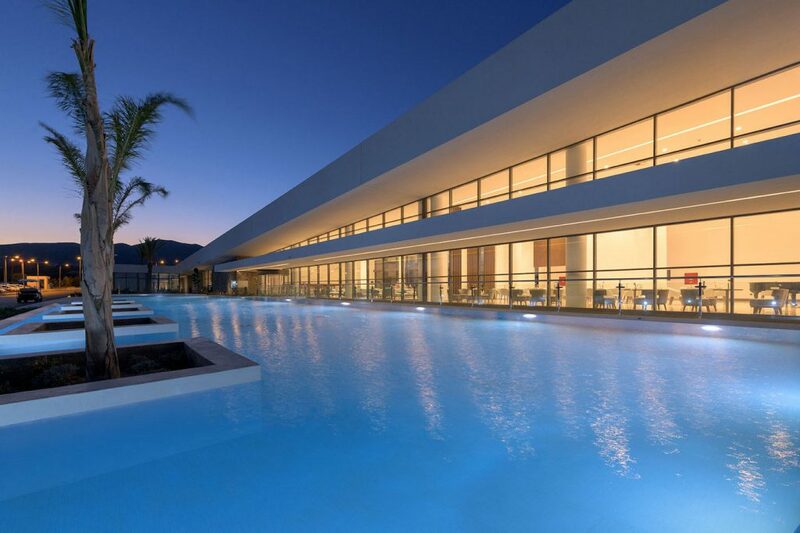 Gennadi Grand Resort has been created by architects Dimitris Melenos & Partners, who took their cues from the charming landscape with a neutral palette, sharp angles, low-slung buildings and slanted roofs that complement the surroundings and optimise microclimate conditions. Recently awarded a Green Key in the International Environmental Awards, the eco-chic resort has a focus on its water consumption, using a reverse osmosis system to deliver 20,000 litres of clean, sustainable water to the resort every hour and a conscious effort has been made to collect and recycle any rainwater. Locally-sourced porphyry rock, chosen for its minimal maintenance properties, provides the foundations of the resort, while the floor-to-ceiling windows make for a spectacular theatre of foliage, the Aegean Sea and the mountainside surrounding the resort. The resort is situated on the less-explored southern corner of Rhodes – the largest Dodecanese island – near a traditional fishing village off the tourist trail, and supports the economy of its local community, with guests invited to discover Ancient Greece, explore a local village, witness the farm-to-fork food philosophy or simply sit back in a sun-kissed solace. The resort boasts 161 private pools for couples craving privacy, families wanting flexibility and friends in need of a respite. Its 11 bars and restaurants are adapted to suit individual tastes with interactive cooking stations where small independent producers are prioritised for authentic Greek flavours. The sustainable green roof is the perfect spot for walks or yoga and the resort’s spa and health club offers a selection of signature rituals, facials and body treatments.